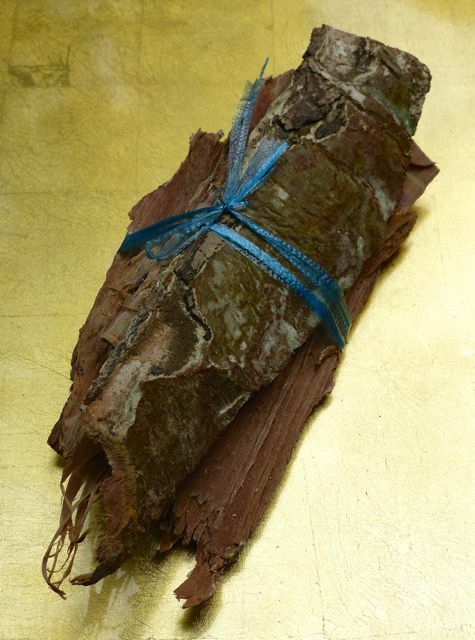 The vendor looked at me like I was from Mars when I asked how it was used… as if I would easily let on that I had a urinary tract infection and just needed to wrap the fresh bark around my trunk to cure it. Not. 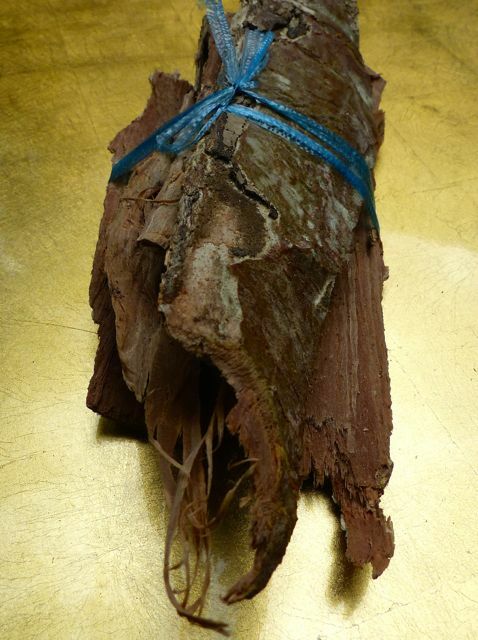 So wash the bark and stick it in some boiling water and drink the infusion… Hmmm. Maybe not. I paid PHP20 for this portion of bark, and again, as with the sesame leaves of the previous post, I chalk that up to learning something new. Sold around Quiapo church, year 70’s. I’ve read at least one scientific paper (peer-reviewed) that showed banaba has an anti-diabetic component. They have isolated the chemical compound and tested its blood sugar lowering effects. I don’t know about the UTI, though. If you are ever on NLEX, you might see banaba trees along the way. They are trees with pretty purple flowers. They are related to the crepe myrtle that grow abundantly in the American southeast. Yes, I do love your posts on unusual finds !! Leah, you are right. The purple flowers of banaba are pretty, very pretty. I used to look forward to seeing them every spring on a tree just outside my office in Hanoi – and then saw quite a number of them along South Superhighway back home. It takes a number of years to grow a healthy tree to maturity. The banaba tree dies a slow death everytime it is stripped of its bark. This tree gives so much joy to the beholder every flowering season. Akala ko ay mukha ni nognog b. LOL!